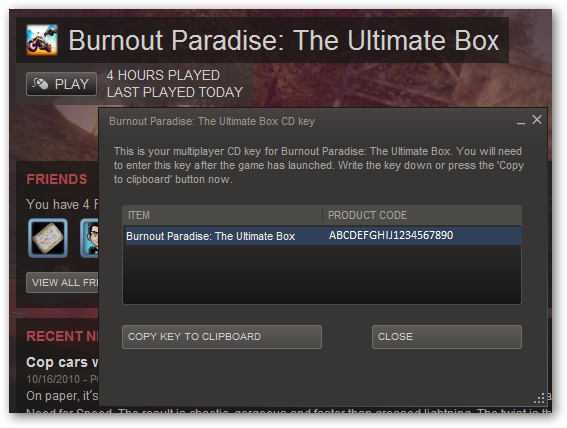 Steam keeps track of all accounts' different Burnout CD Keys, so you're in luck. The problem is, the game was designed to only be tied to one CD Key, which ties to one EA account. The game will track different Windows user's progress as far as the single player campaign goes, but to play online and have the EA servers track stuff for you, you have to have the right CD-Key in the registry and the right EA account tied to each CD-Key. It's a little tricky, but doable. And for the record, the CD-Key doesn't seem to matter as much once you get the EA accounts tied to the game... As long as the game can login with EA account credentials that have been tied to a Burnout CD-Key, the game seems to work fine. Please correct me if I'm wrong... your mileage may vary. 1. Extract your CD Key branch of the registry out to a file. 2. Make as many copies of the file as there are Steam accounts that own the game on your computer. 3. Tweak each registry file to have one of the Steam account's Burnout CD-Key and rename to identify with the Steam account it belongs to. 4. Create a batch/command file to auto-change the registry with the appropriate CD-Key registry file, then launch Burnout from Steam. Open your registry editor by running "regedit" (32-bit Windows) or "regedt32" (64-bit Windows) to ensure you're in the 32-bit registry. 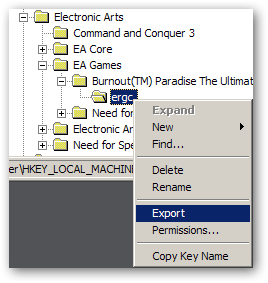 Right-click the ergc folder and select "Export"
Save to: burnout_cdkey_YourSteamUserName.reg ... replacing "YourSteamUserName" with your real Steam username. 2. 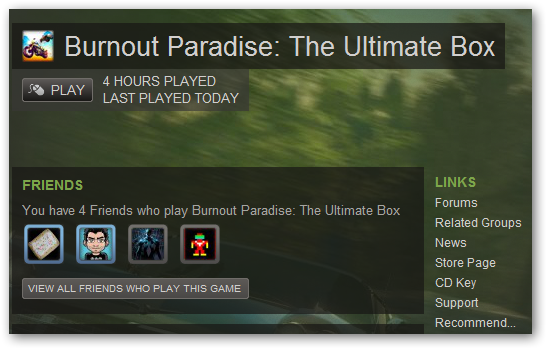 Make as many copies of the file as there are Steam accounts that own Burnout on your computer. Click "Copy key to clipboard" and modify the appropriate registry file. Note: this will require logging into each Steam account separately, going to the Burnout Paradise library screen and bringing up the CD key dialog. Create copies of this file and rename them with the appropriate other Steam accounts. Modify each copy and change the .reg line to match the appropriate filename. Ok, so not quite yet... we're not out of the woods until we solve the EA account ties to each CD-Key. I'm guessing that the first person that logged in and tied the EA account probably told Burnout to auto-login with the same credentials each time. You should get prompted regardless, since it should detect that the CD-Key has not yet been assigned an EA account. C:\Documents and Settings\YourUsername (of course, changing the drive letter C: for whatever drive Windows is installed on; and changing "YourUsername" to your real Windows user name. This gets you to the point that the next time you launch the game, it will prompt you for credentials. It is critical that you make sure you launch with the appropriate .cmd file to ensure you tie the right EA accounts to the right CD-Keys. Once you tie each account, you should be able to run the game normal without worrying about the .cmd or .reg files anymore, but if you should still need them, keep them around. 2) Correct any mistakes in my explanations. Of course, if my theory is correct that it won't matter who you login as after all CD-Keys have EA accounts tied to them... you can bypass the .cmd files. Just double-click the appropriate .reg file and go through the dialogs confirming it changed the registry successfully. 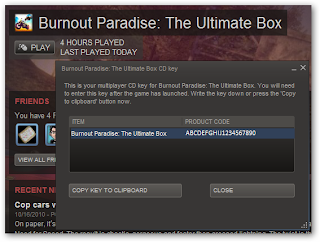 Launch Burnout Paradise and sign in with the appropriate EA account to tie to the CD-Key. Repeat until all accounts are matched up... then you should be able to log in with any of the EA accounts (make sure to not set it to remember the login) and play with each persona.